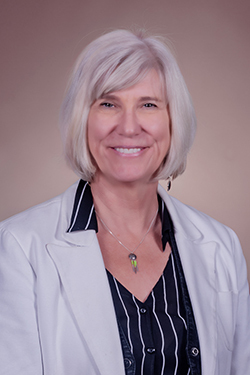 Dr. Joan Rose serves as the Homer Nowlin Chair in Water Research at Michigan State University, the Co-Director of the Center for Advancing Microbial Risk Assessment and Co-Director of the Center for Water Sciences. She is a member of the National Academy of Engineering, serves the International Water Association as part of US National Committee and works in Singapore advising the Public Utilities Board. She was chair of the Drinking Water Committee for the USEPA Science Advisory Board (2004-2010). She is an international expert in water microbiology, water quality and public health safety publishing more than 300 manuscripts. She has been involved in the investigation of numerous waterborne outbreaks world-wide. Her work addresses the use of new molecular tools for surveying and mapping water pollution for recreational and drinking water; assessment of innovative water treatment technology for the developed and developing world and use of quantitative microbial risk assessment. In 2016, Dr. Rose was named the Stockholm Water Prize Laureate for her tireless contributions to global public health.